UFC 238 just added another bantamweight bout to pair well with the main event that will crown a new champion. ESPN has reported that Jimmie Rivera and Petr Yan have agreed to face off at UFC 238, which takes place on June 8 from the United Center in Chicago, Illinois. 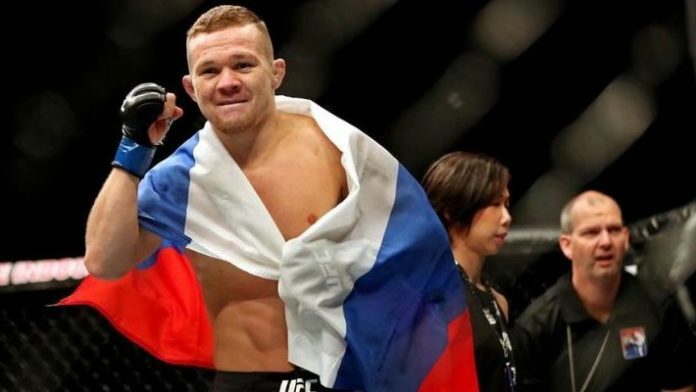 Petr Yan has called for this fight ever since his most recent victory of John Dodson, and Jimmie Rivera will grant Yan his wish at UFC 238. This will be the highest profile fight for Yan, as Jimmie Rivera is currently the 7th ranked bantamweight in the world. Rivera is currently on a different trajectory from Yan at the moment, however, as Rivera went from winning 20 consecutive fights to now having loss two of his last three. Rivera has lost to some top competition, though, losing to the current #1 bantamweight contender Marlon Moraes and the now #3-ranked Aljamain Sterling in Rivera’s most recent outing. Rivera will look to stop the rising Yan at UFC 238 to right the ship and get back on course. Petr Yan is only two spots below Jimmie Rivera, currently ranked #9 in the division, but he is gaining ground on Rivera and the rest of the 135 division pretty rapidly, having only made his UFC debut less than a year ago in June of 2018. Yan has strung together a 4-0 UFC record in that short period of time and, all told, the 12-1 Russian scrapper is on a seven-fight winning streak. With a victory over Rivera at UFC 238, Yan may only be one more fight away from a title shot. will Petr Yan win his fifth straight UFC fight?